Following five women over two years as they pitch VCs, build teams, bring products to market, fail and start again, SHE STARTED IT takes viewers on a global roller coaster ride from San Francisco to Mississippi, France and Vietnam. Along the way, it weaves in big-picture perspectives from women like investor Joanne Wilson; White House CTO Megan Smith; GoldieBlox CEO Debbie Sterling; and Ruchi Sanghvi, the first female engineer at Facebook. Through intimate, action-driven storytelling, SHE STARTED IT explores the cultural roots of female underrepresentation in entrepreneurship—including pervasive self-doubt, fear of failure, and risk aversion among young women. It exposes, too, the structural realities women face as they become entrepreneurs, including lack of female role models and investors, and the persistent dearth of venture capital funding made available to women-led companies. 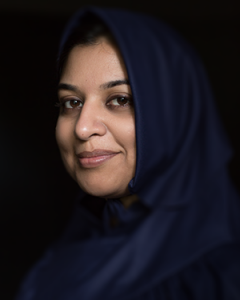 Insiyah Saeed is a journalist and documentary filmmaker based in Silicon Valley. Her first documentary SHE STARTED IT is one of Inc Magazines “5 Films To Watch” in 2017 on entrepreneurs. The film has screened at over 20 film festivals, with over 400 screenings at hundreds of venues, schools, conferences and corporations around the world. She has been featured in Inc. Forbes, CNN, Fast Company, Indiewire, C-NET, Women in the World and more. As part of the American Film Showcase program, SHE STARTED IT has screened at embassies and festivals in Nigeria, Russia, Malaysia, Mongolia, Ethiopia, India, Bermuda, UAE and many more countries. Nora Poggi is a French journalist/filmmaker directing her debut film, SHE STARTED IT. 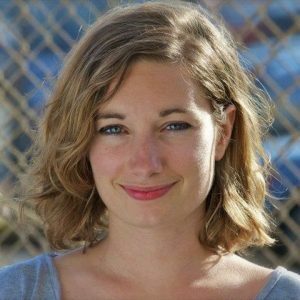 She has interviewed key players in Silicon Valley for the past four years for publications including Examiner.com & Usine Nouvelle. She previously worked at French social network Viadeo.com and award-winning production company Lucky Dragon Productions. She is a TEDx speaker and has been featured in Inc, Forbes, Fast Company, Glamour, Huffington Post and others.